The users always asked how often to clean the purifier ? How to judge if the purifier needs to be cleaning? At present, most of the fume purifiers on the market are electrostatic style. In order to ensure the normal run of the equipment, it needs to be cleaned and maintained in time. However, due to the different materials, accessories, structure and quality of different brand, the cleaning and maintenance period is quite different. The cleaning period of most of the poor quality fume purifiers is 15days. A good quality cleaning cycle is 1-2 months. In addition, although some brands claimed that they equipment have automatic cleaning functions, actually the system is not fully completed, manual cleaning and maintenance are still required. Then, how to judge whether a fume purifier needs cleaning, how to judge the time? Take Gojek fume purifier for example. It is generally recommended that to clean the device every 1.5-2 months. After the device is used for one month, the user can check the exhaust end to see if there is any obvious smell of oily smoke, if it occurred.that means it needs to be cleaning. The normal work purifier is work at low noise and without abnormal noise under regular conditions. During normal working operation, the user won’t hear obvious sound. If too much grease attached on the electric field,it will reduce the purification effect, or the abnormal noise sounds like "beep" will be produced. When these circumstances occurred, the fume purifier needs to be cleaned. At present, China's "Dietary Fume Emission Standards" clearly provides that the commercial catering unit's fume emissions should be less than 2mg/CBM, and the fume removal rate needs to reach more than 85%. The requirements of local regulations in individual provinces and cities are higher. 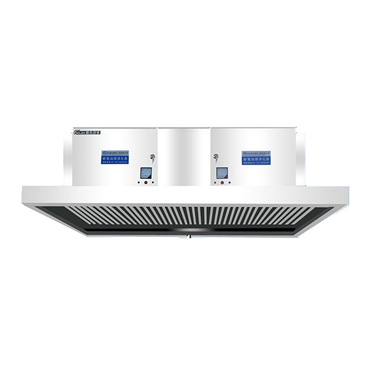 Taking Shenzhen as an example, the fume emissions of catering units are required to be less than 1 mg/CBM, and the purification rate of fume needs to reach over 90%. Through Gojek-Cloud system, users can see the purification effect of the fume purifier and the concentration of fume emissions directly. Once the value is exceeds 20%, the user should to prepare cleaning it. Gojek fume purifier has greatly improved the purification efficiency by unique three-layer filtration structure. meanwhile, it reduces the purification pressure of the internal electric field and prolongs the cleaning period cycle, once every 2 months, in order to ensure the equipment work in the best status. To clean it every 1.5-2 months is recommended.